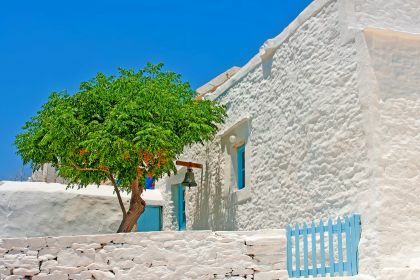 Call or contact your friendly Abberley charter broker here for assistance in planning an unforgettable yachting vacation in Sifnos and the Cyclades. Cruising into the sheltered harbour at Vathi beach is a great place to start your Sifnos adventure. 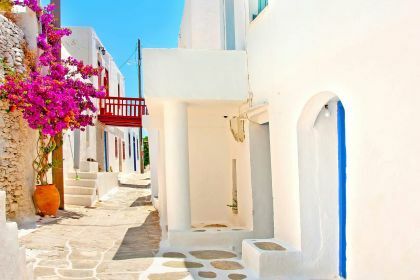 This whitewashed village has great ceramic shops selling the pottery for which the island is famous, and cosy tavernas. 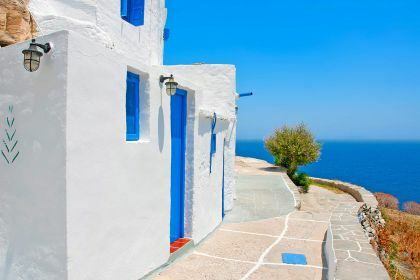 At Heronissos, you’ll join a few fishing boats and yachts in the spectacular long, narrow bay overlooked by a scattering of traditional houses. Relax on deck in pampered luxury and watch the golden orb of the sun slip into the sea. Beat those relying on the ferry and arrive early at the Chrysopigi monastery, perched on a rocky peninsula in the southwest of the island. Built in the 16th century, this tranquil whitewashed building is still home to a handful of monks. Leap off the rocks into the bright-blue sea for a refreshing swim , or head to sandy Chrysopigi beach for a dip and catch of the day at one of the tavernas. Kamares is a beautiful port village with transparent waters and vibey restaurants which often fill up in the evenings with other yachters, making for a festive atmosphere. Various ceramic workshops and shops are dotted around the island, their shelves stocked with the earthy wares. Conde Nast Traveller called Sifnos “the most delicious Greek island” for a reason. Known for its excellent restaurants, the island has been home to many top chefs and even the tiniest tavern should serve up top-notch food. In Vathi, head to Tsikali, where the fish and calamari come straight from the fisherman’s boat and the shady outdoor dining area provides views of the bay. Absinthe, in Kamares, is perched above the village and has spectacular sea views, contemporary Mediterranean food and very attentive service. 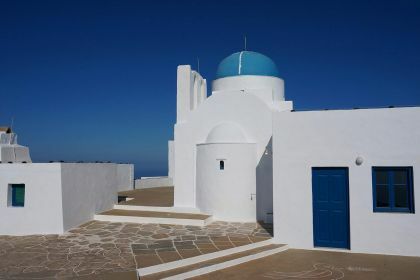 Contact us and we’ll make sure you get the most from your yachting holiday to this magical Greek island. Insider Tip: For people watching and celebrity spotting, hit the glamorous southeastern Platys Yialos beach. With its Blue Flag status, the water is clear, warm and shallow and there are plenty of restaurants, including the tiny beachside Omega 3, a favourite with Hollywood stars.